Connecting terminals TC and CG of the DLC3 causes the system to enter self-diagnostic mode. If a malfunction is present, DTCs will be output. 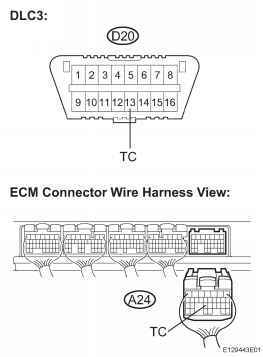 (a) Disconnect the A24 connector from the ECM. How to connect tc and Cg in. the motor? What happen jump tc and cg prius? How to connect the wire to the DLC3 connector to? 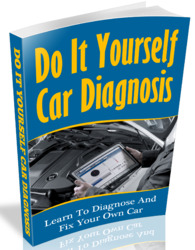 What is the ts terminal in obd2? 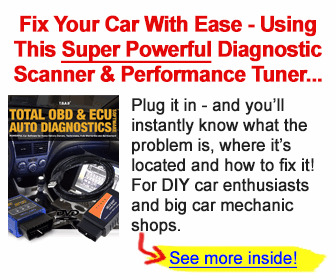 How to locate the cg & ts port on the diagnostic link connector on a 2006 toyota 4 runner? 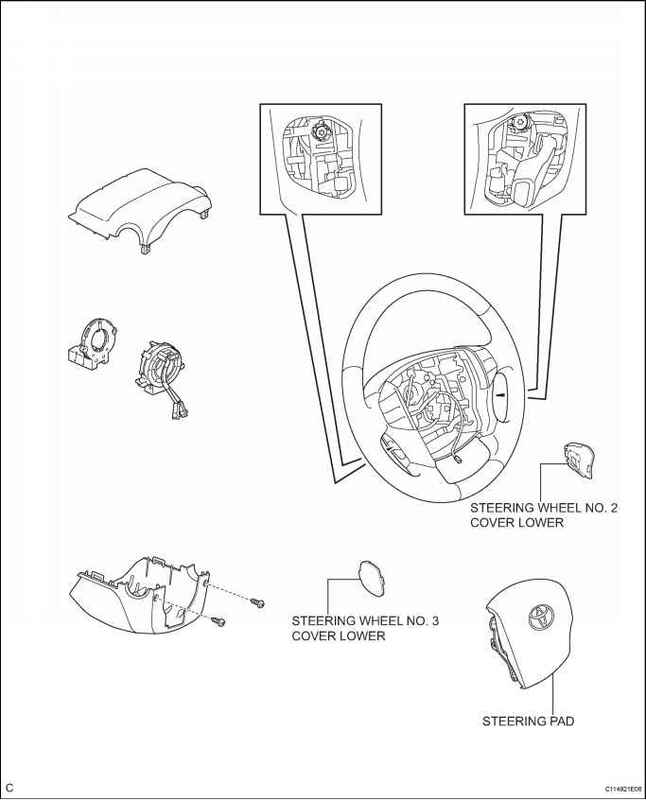 How to locate the cg & ts ports on the diagnostic link connector on a 2006 toyota 4 runner? Which terminal is cg and ts on the code reader on a 2000 Avalon xls? Which ones are the cg and ts ports on a 2000 Avalon XLS? 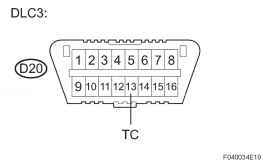 What circuit is Ts on obd2 connector? Where is terminal cg in the dlc1 on 1999 toyota avalon? 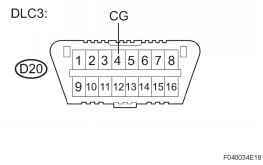 Where is the CG and TS port on 2006 toyota highlander?